Redline Hot Shot & Transportation, Inc. Dedicated hotshot trucking and transportation offering safe and reliable service throughout the United States. Redline Hot Shot & Transportation, LLC. 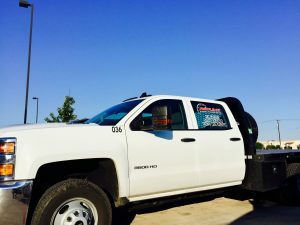 Redline Hot Shot & Transportation is a dedicated hot shot trucking and transportation company based out of Lubbock and Midland, Texas. We work hard to provide safe, reliable, and on-time services around the U.S. 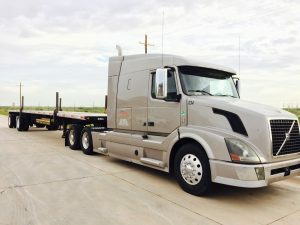 Whether you need a live-load or have a strict deadline, Redline provides quick turnaround to get your equipment where you want it, when you want it. We are a cost-efficient trucking company that offers competitive pricing and fair rates. One of the most important qualities of a business is it’s dependability. Our truck drivers and owner are the most dependable in the business. You can trust that we will do what we say we will do. Since January 2013, Redline has provided excellent services across the nation. Our team works hard to ensure we understand your expectations and needs to get the job done. Redline prides itself on professional and dependable truck drivers, cost-efficiency, and quick turnaround. Learn more about our company here. Our equipment varies from a simple hot shot truck to a forklift loader for drill pipe and casing jobs. All trucks are equipped with GPS tracking devices and are available 24/7. Redline equipment is state of the art, accessible, and dependable. Learn more about our trucks here. 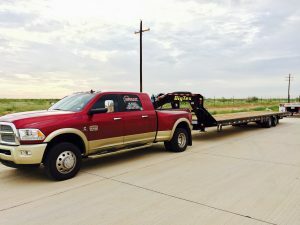 For more information on our hot shot and transport services, give us a call. We are here to help make your transport a stress-free and pleasant experience. For a quote, get in touch.